I should actually name this recipe as bell pepper thogayal or bell pepper dip. Well, whats in the name? All that matters is the taste. I was reading a book by Kristin Cavallari where she mentions about clean eating. 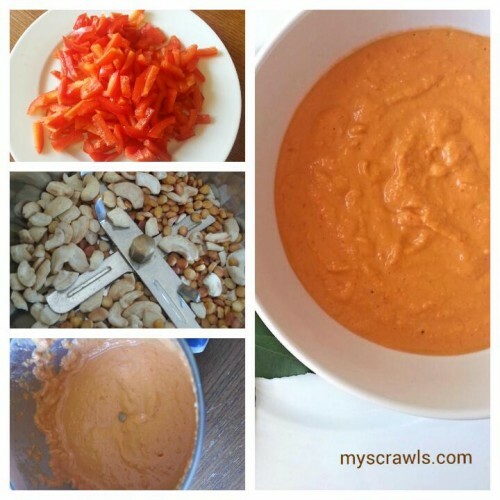 She has few good recipes and the one with red bell pepper and cashews caught my eye! 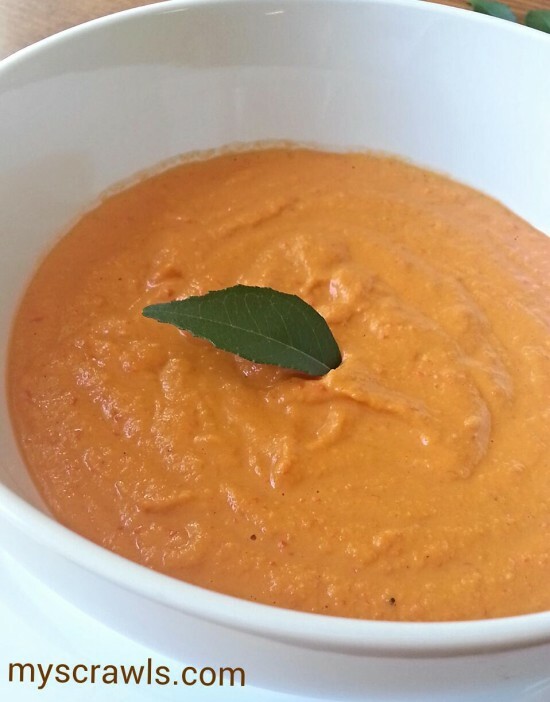 I modified her bell pepper dip to suit my south Indian taste palate and this recipe was born. No-brainer, it is as simple as kadalai paruppu thogayal with hint of cashews in it. Heat 1 tsp of oil and roast bengal gram until it turns slightly golden brown. Add red chilies and cashews and roast for 1-2 mins. Make sure not to over roast/burn dal. Meanwhile heat remaining oil and saute bell pepper. Add hing and cook for couple minutes until bell pepper gets soft/cooked. Add tamarind just before removing pepper from heat. Once cooked pepper reaches room temperature, grind it with the dal/cashew mixture. 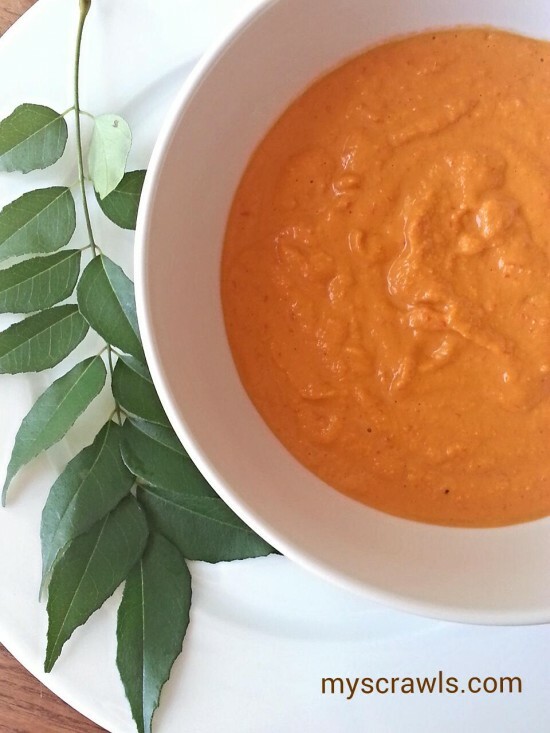 Serve the thogayal/chutney with idly, dosa or spread it on a toast and enjoy! While we liked the cashews in the thogayal, the husband said that he would prefer little bit of tadka(tempering with spices) in it. For seasoning – Heat one tsp of oil and add 1/2 tsp of mustard seeds and a pinch of hing. When mustard starts to splutter, add 1/2 tsp of gram dal (for crunchiness) and curry leaves. Fry for few secs and then add it to the chutney.